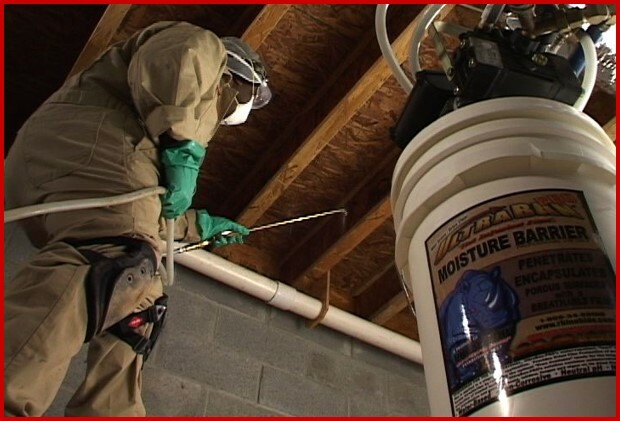 You do not have to be in the Pest Management Professional business to determine that crawlspaces do have a problem with moisture that leads to far bigger problems like termites, beetles, bores, fungus, rot, mold, and most noticeable a musky odor as well as crawling pest ants, roaches and miscellaneous insects. For many years we in the industry have recommended adding ventilation, ground covers and power vents. This was the correct recommendation at the time, but as houses got tighter due to recommendations from the energy departments, the problems continued to be more noticeable. This led to most authorities in construction, energy and green environments making recommendations to close crawlspaces and in some cases add dehumidification. It is recommended to keep the relative humidity in the crawlspace in the 50 RH up to 64 range and moisture below 20% to avoid causing or contributing to these unfavorable conditions. Fungus starts at 28% moisture, but other surface conditions starts at the 20 % level. 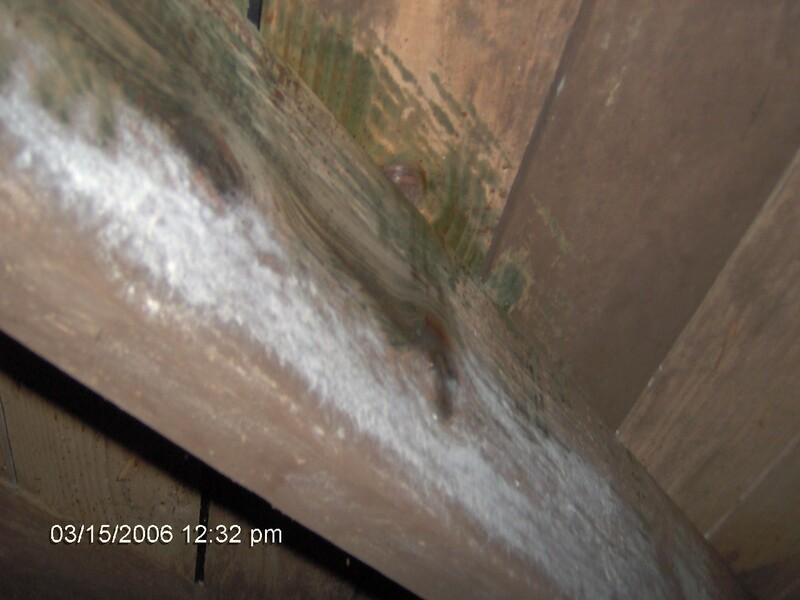 The secret to keeping wood from deteriorating is to keep it dry and it can last for ever. This following crawlspace encapsulation procedure only affects the crawlspace and will not be expected to address any conditions above the crawlspace area. Encapsulation is another way to control the build up of moisture and humidity that is sometimes associated with crawl spaces. The objective is to reduce the humidity and moisture to an acceptable level of moisture under 20% and humidity between 50 to 64%. This is accomplished by reducing the amount of moisture that is rising from the soil under the crawl space, and reducing the amount of warm air that is accumulating under the crawl space from the outside. 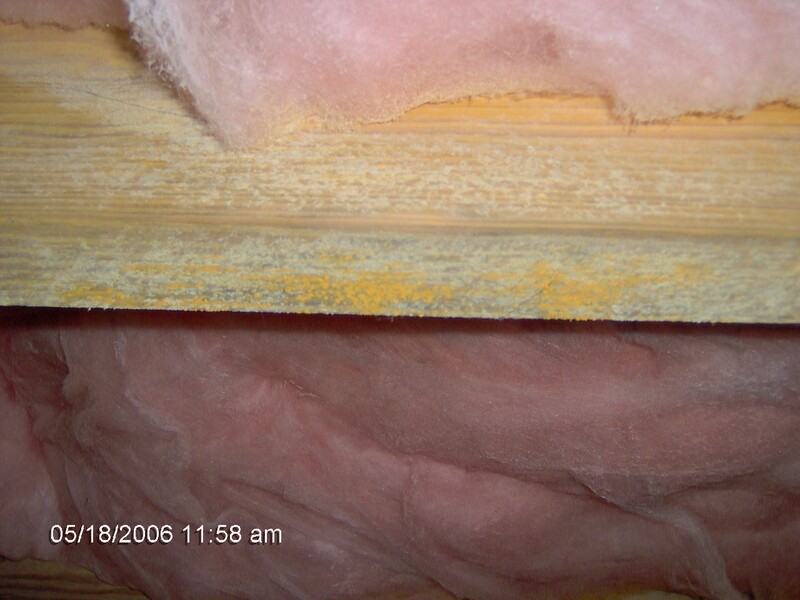 The inspection should start by asking the home owner severable questions about the structure. Related to moisture and condensation. The Inspector proceeds to the outside of the home where he or she draws a graph of the structure noting any conducive conditions such as leaking water faucets, downspouts allowing water to collect around the foundation, etc. 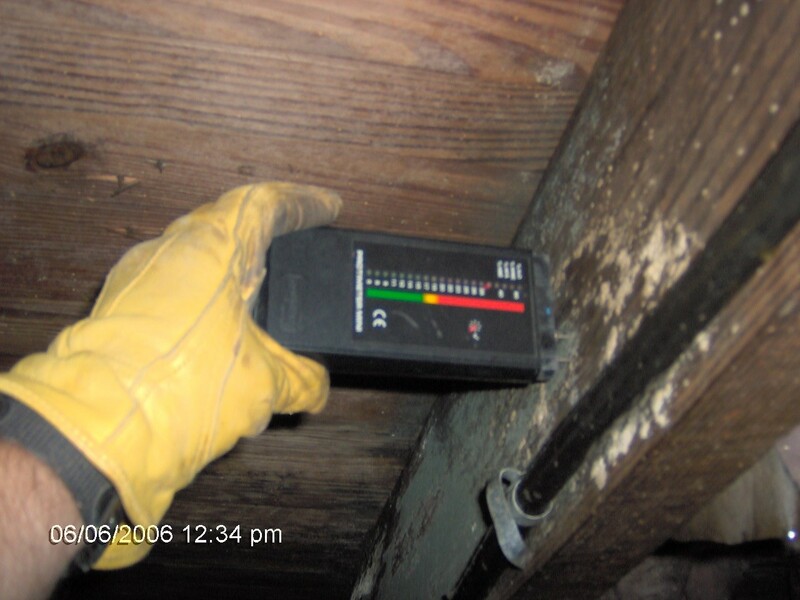 Next is the crawlspace inspection where the Inspector will observe, take moisture readings, humidity readings and temperature readings (at least 6 different readings in 6 different locations are recommended) and post them on the diagram (graph) using a moisture meter and a hygrometer. The Inspector will sound the wood and note any evidence of water leaks, wood destroying organisms and / or damage related to such findings. In addition, the Inspector should observe for problems with air ducts, water pipes, sewage pipes, electrical problems or foundation problems that a qualified professional in those fields of expertise should look at. The Inspector should indicate on the graph by marking the general location where the specialist will place the dehumidifier in the crawlspace. If the Inspector has observed a problem in the crawlspace, an inspection inside the home in the area where the problem was observed is recommended to estimate the extent of damage, or if the infestation has moved upward. This would include the attic area if it were accessible. 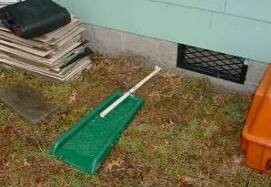 Treatment in crawlspace may not have any effect on the other parts of the structure. The first step in the preparation process is for the specialist to do a quick review of the paperwork and inspect the jobsite. If there are any questions or problems, the Specialist should notify his or her supervisor immediately without alarming the customer. If no problem exists, the target area should be cleared of all debris, not just cellulose but of all removable debris, bottles, cans, stored items, any metal objects. Before the actual installation of the polyethylene membrane, any other work such as UltraMean-2 peroxide cleaner and UltraBan-PRO moisture barrier, borates, insulation, termite, etc. should be performed to the proper specification and /or protocols. The next phase of the preparation of the target area is blocking all foundation openings (foundation vent openings). This is accomplished by cutting a 1” thick piece of Styrofoam board to fit the size of the opening. This piece of styrofoam should then be placed in the opening and sealed using a clear caulking. In addition to vent openings, any other openings such as pipe penetrations, etc. should be closed using approved materials. Fill empty pail (with screw top lid) with approximately 5 gallons of fresh water. Under gentle agitation with drill mixer add contents of one 3 lb container of UltraMEAN-2 (there may be initial foaming of the product). Screw pumps assembly onto pail. Connect hose and spray wand assembly. Refill and repeat as necessary. Scrub with stiff bristled brush any heavily contaminated areas and reapply cleaner to those areas. Retain any unused UltraMEAN-2 to use as a rinsing solution for the pump system after the application of the Ultra Ban-PRO. Rinse the cleaned area with fresh water – after the 20 minute soak-in time. Remove lid and begin blending Ultra Ban-PRO product with drill mixer. Follow pump assembly operation instruction. 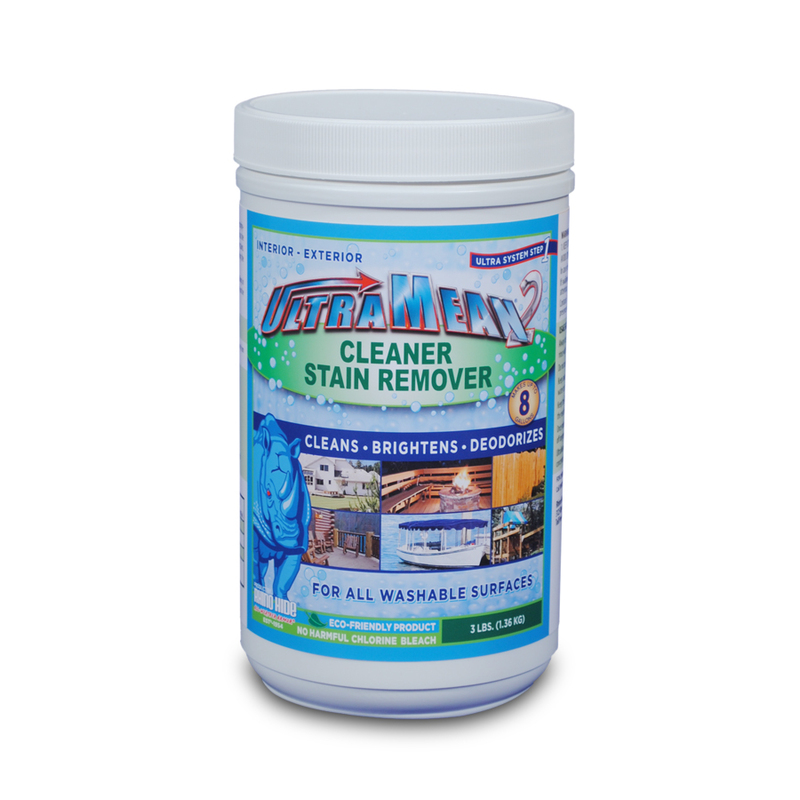 Dispense initial product into the pail of UltraMEAN-2 cleaner (flushing lines of cleaning solution. Apply at an estimated coverage rate of 600 Sq. Ft. per gallon. (Sub floor surface area figured at 2.5 times that of the “base” floor footprint). Wall and floor surfaces are direct 1 for 1 sq ft. area estimation. It is important to start with the foundation walls first. Using at least 6 to 10 mil polyethylene; the poly membrane should be attached to the wall 4″ below the sill plate. This can be accomplished easily with Rhino Hide’s 2-sided HiBatt Tape. Next the wall membranes should extend down the foundation wall and continue out on the ground at least 24” from the footer or bottom of the stem wall. The poly membrane should be used as the ground cover as well, and that membrane should be placed from foundation wall to foundation wall in the target area. The membrane that is positioned over the wall membrane should be anchored with HiBatt Tape along the seams. The tape can be used for all seams and wherever poly overlaps. The ground membrane should be cut to fit around the piers and any chimneys in the target space. The ground membrane should also be positioned under piping and ductwork wherever possible. For a final touch up around piers, patch areas or seams use Rhino Hide’s single sided clear Sticky Tape on the top side of the poly for astetics. The dehumidifier is powered by standard 110 volts of electricity, as well as the condensate pump that is needed to extract the condensation from the dehumidifier, so having a duplex power GFI outlet close to the unit is required. If the structure has no outlet close by, one will have to be installed by a subcontractor. Installing a dehumidifier and condensate pump according to manufacture instructions. 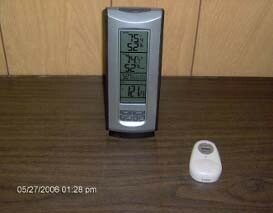 Set the unit to the desired humidity setting of 50 to 64 RH. So do you think when someone from the big O reads this they will have a coronary? I would certainly hope not, it is good advertising for them. There will be many more to come following the same theme.